We have spent the earlier part of this week recording at Wellington Barracks in London, the home of ‘The Bands of the Guards Division‘ in the company of The Band of the Welsh Guards and Rebecca Nelson. Rebecca, from Christchurch New Zealand, has been a reservist and a member of the Royal New Zealand Navy Band since 2013 and has performed with them and as a solo artist around the world in support of many military commemorative events. These have included many such events in this country including at Highgrove House, the home of His Royal Highness Prince Charles. She has been planning her latest album since performing with The Band of the Welsh Guards at a St David’s Day Concert in London last year and we have recorded some twenty two tracks for the album which you can learn more of by keeping in touch with Rebecca’s website and through her Facebook page. 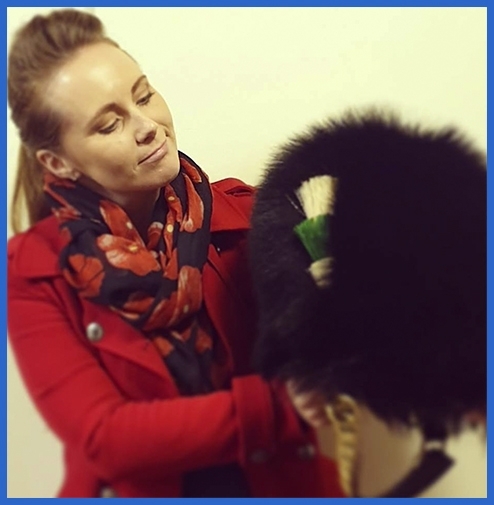 Rebecca is off home to New Zealand on Sunday in preparation for Anzac Day later this month and undertaking further work on her latest project. You can learn more about The Band of the Welsh Guards here.